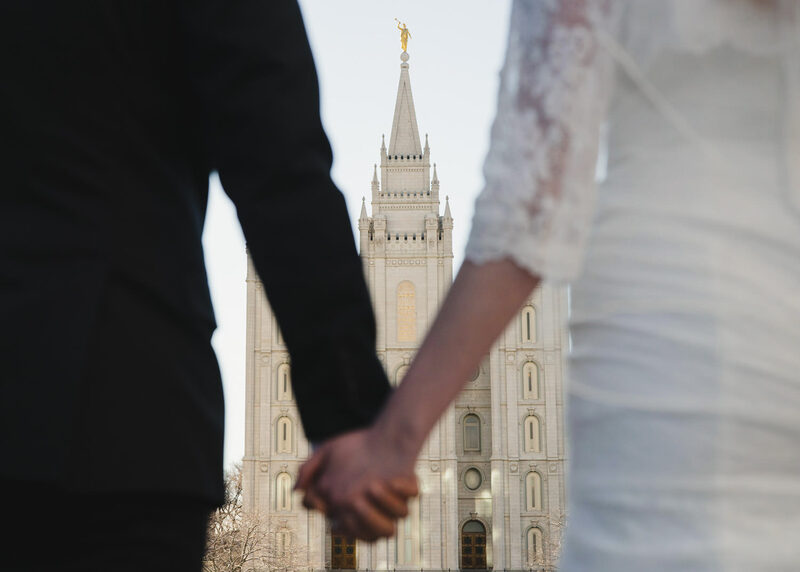 The main image for this post alone should clue you into how playful Amy & Harry’s Salt Lake Temple bridals were. 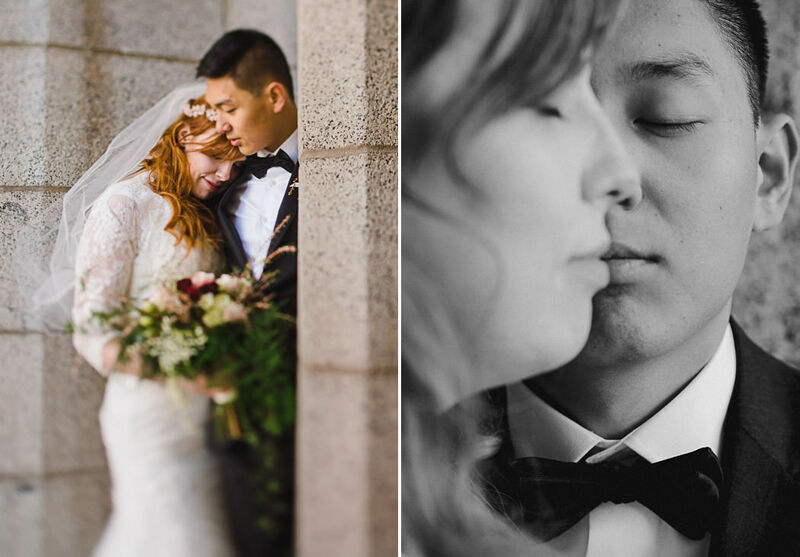 Fun-loving and madly in love, these two were a pleasure to photograph. 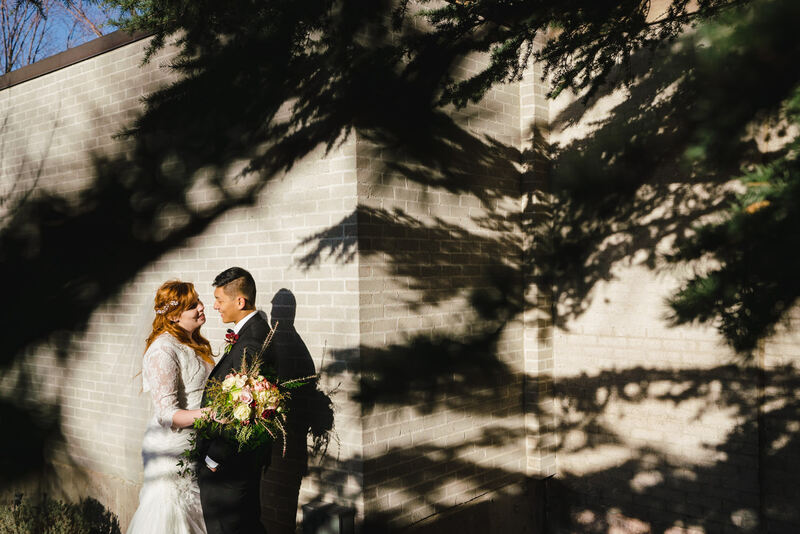 We also captured the two in a romantic and timeless way as we roamed around Temple Square in the late winter afternoon light. 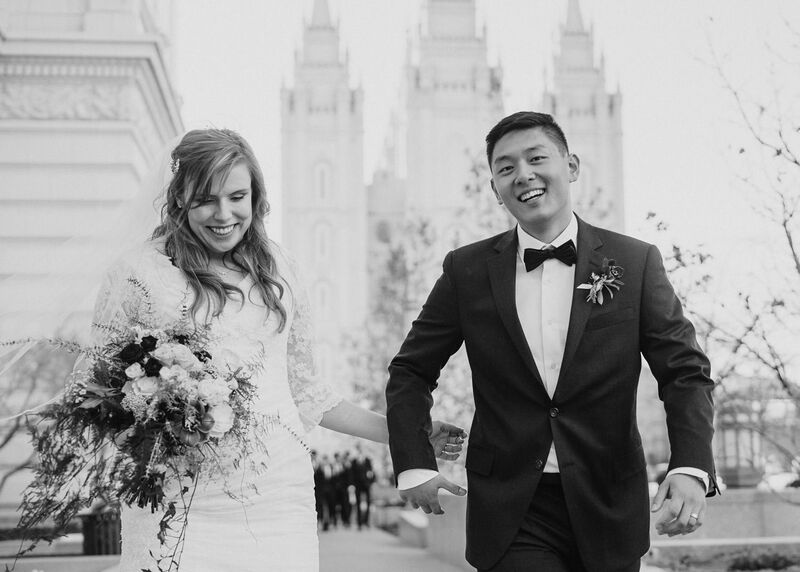 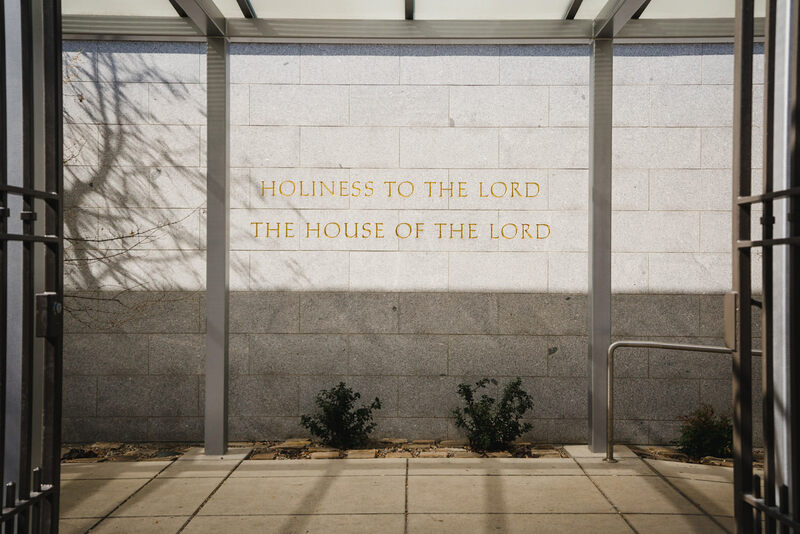 The session occurred after their sealing ceremony and their families welcomed them by the temple’s steps. 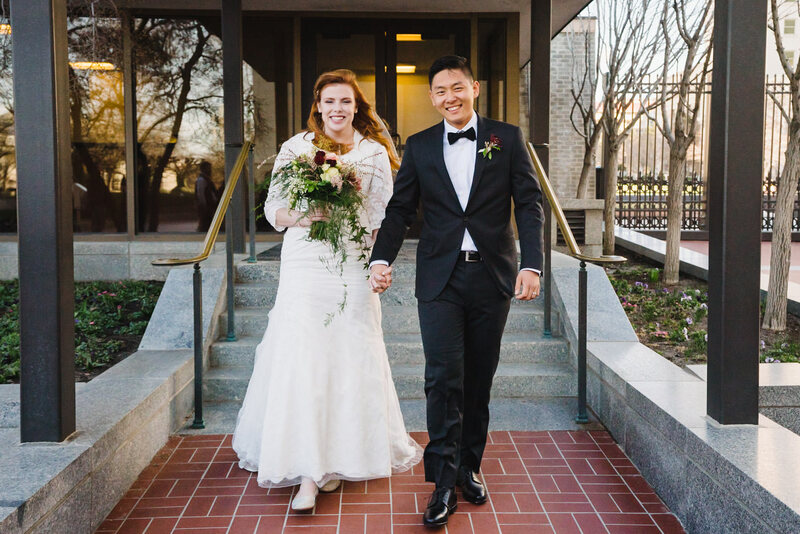 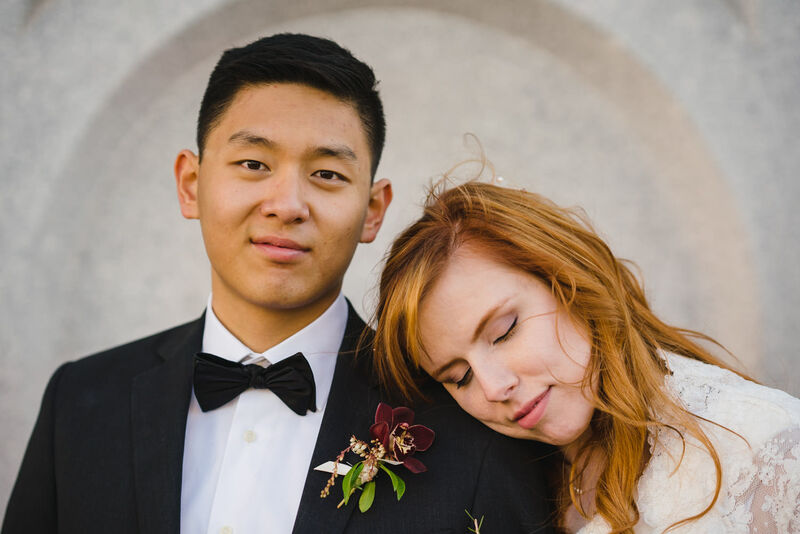 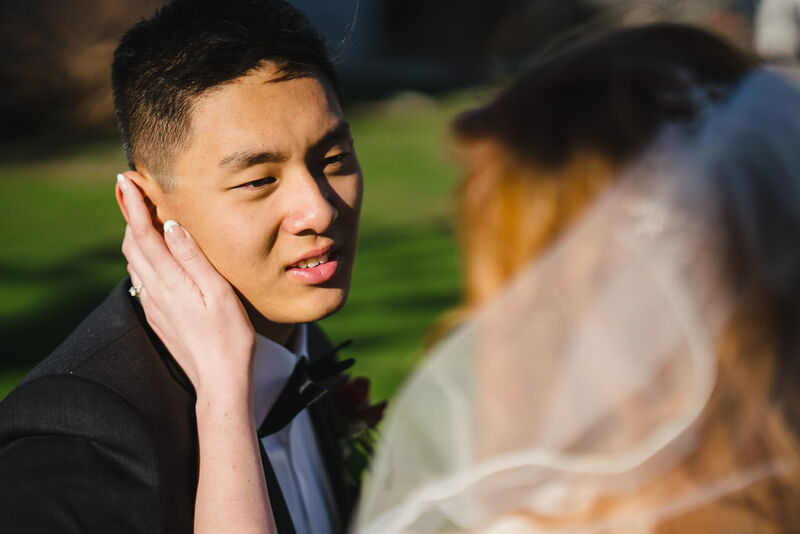 Photography was a major priority for these two BYU students, so we made sure to allocate more than an hour to capture their love before we went to Pierpont Place for their public ring ceremony and reception. 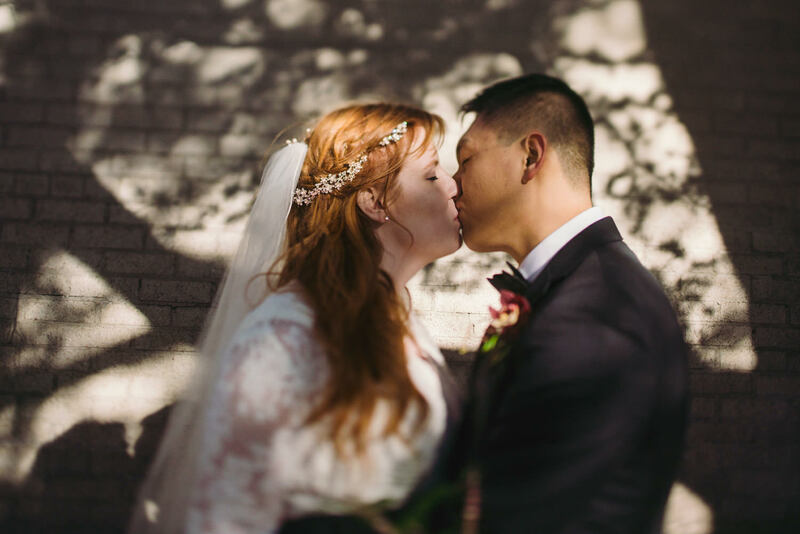 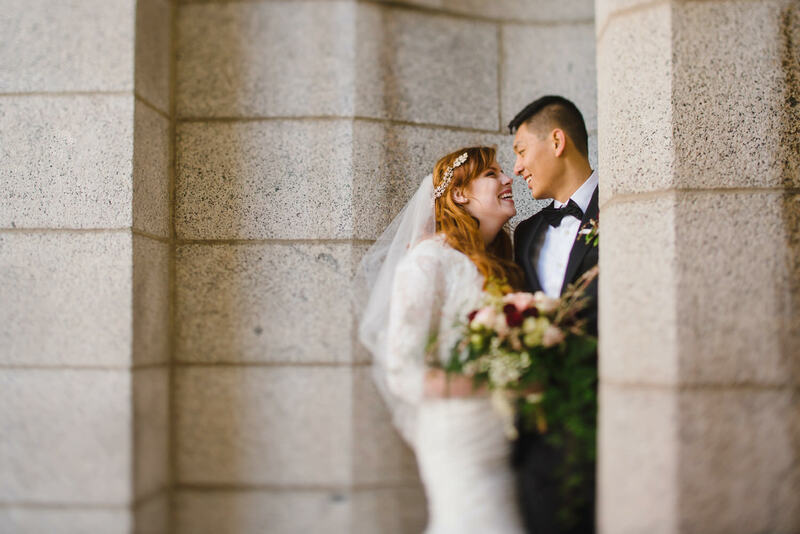 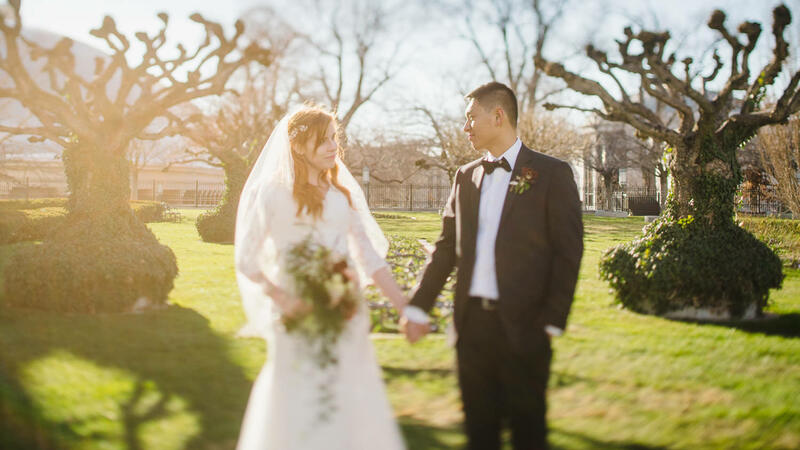 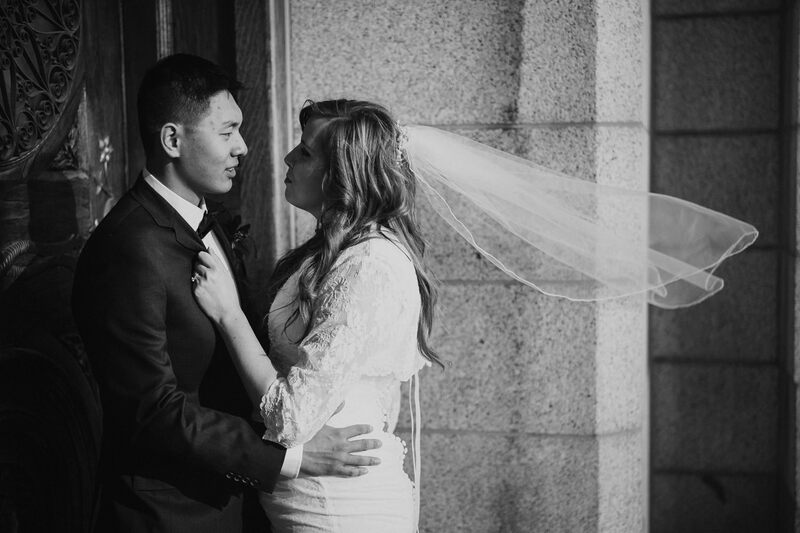 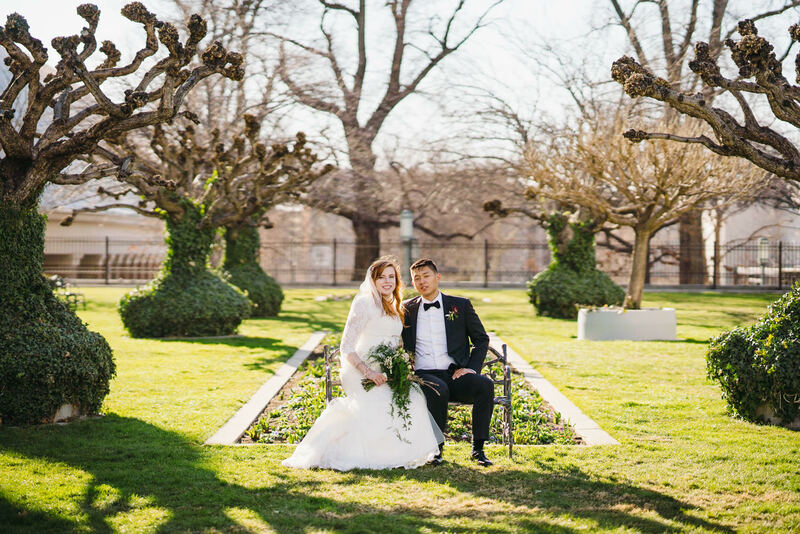 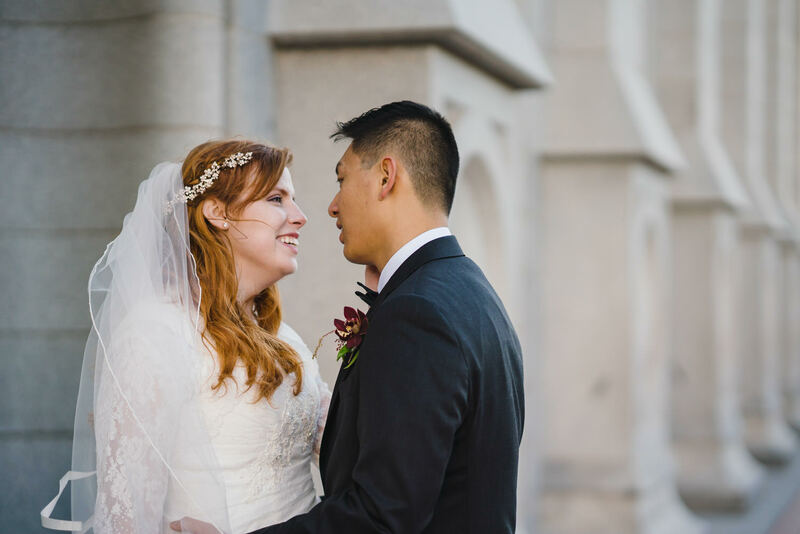 View their romantic Pierpont Place wedding ceremony here. 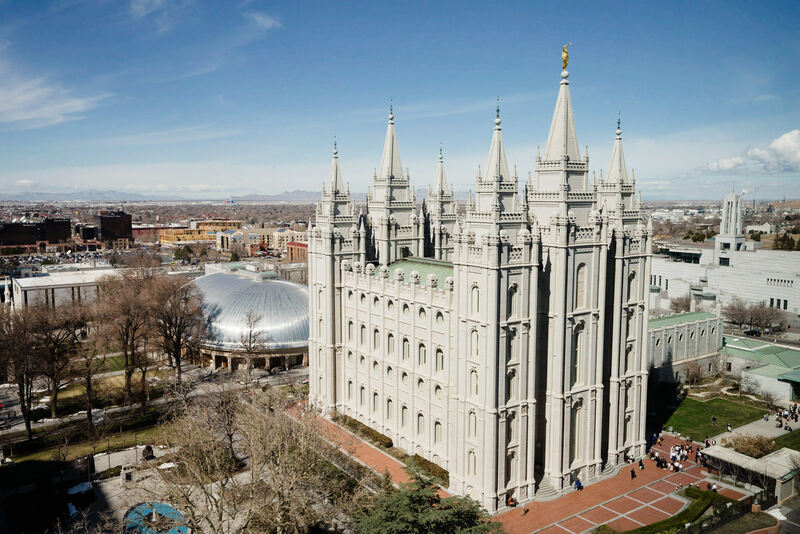 This LDS Temple and Temple Square are one of many Salt Lake City wedding venues.